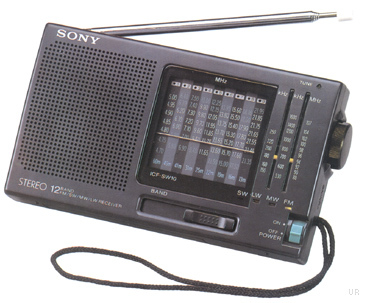 The Sony ICF-SW10 portable receiver covers longwave (153-279 kHz), AM 530-1602 kHz, FM 87.6-108 MHz and nine shortwave bands. This portable has an analog dial. Shortwave coverage is: 4750-5060, 5900-6200, 7100-7350, 9400-99900, 11600-12100, 13570-13870, 15100-15800, 17480-17900, 21450-21750 kHz. 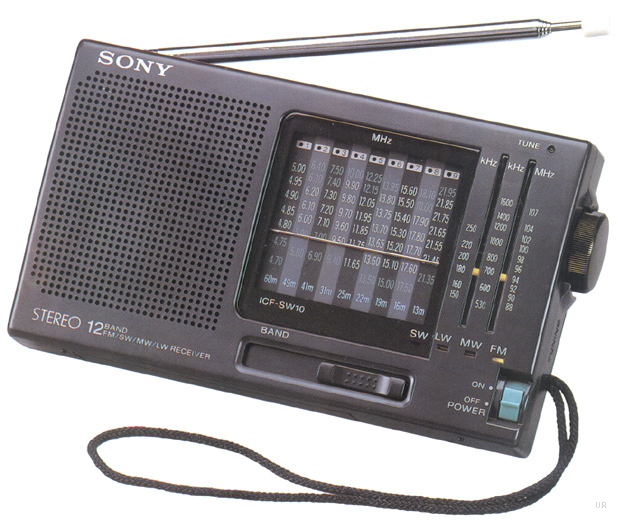 The radio features a 2.25 inch (57mm) speaker and LED Tune indicator. There is a jack for earphones and a jack for 3VDC input. 6.55 x 3.7 x 1.5 inches 12 oz. Requires two AA cells (not supplied).